Swing Dance Luxembourg is a non-profit organisation with a goal to promote Lindy Hop and other swing dances in Luxembourg and surroundings. We do that by organising weekly classes, social dance events, parties, workshops and other dance related activities. The club is run by volunteers who want to share their passion for dance with others. The first Lindy Hop classes in Luxembourg were given by Ieva and Einar in November 2008. The weekly classes were soon followed by outdoor social dancing and later by parties at Brasserie de l’Arret. The scene was slowly but constantly growing and in 2011 the first workshops with international teachers were organised. With regular weekly classes, social dancing events, workshops and parties, the circle of active dancers was constantly expanding and finally in March 2013 an a.s.b.l. 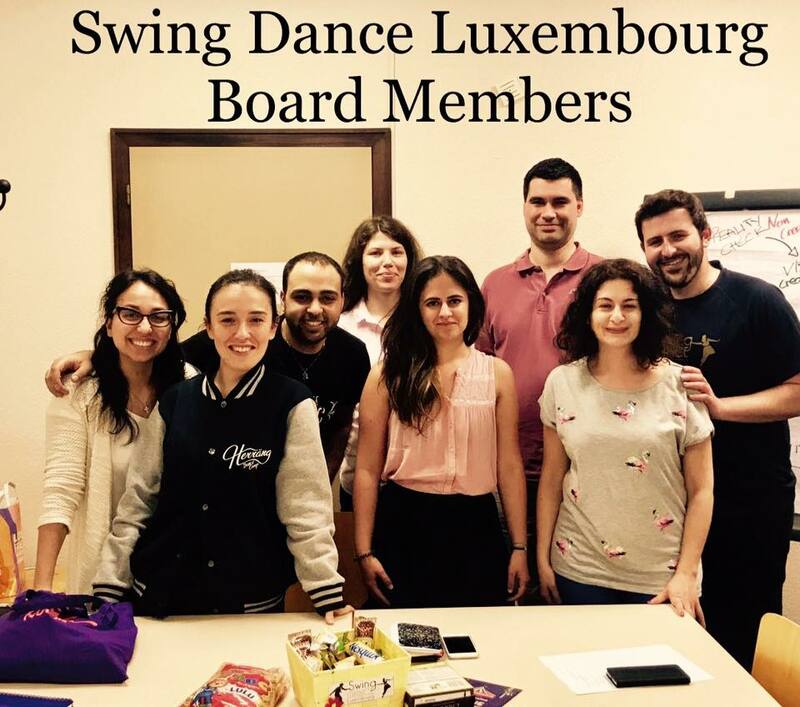 with the name “Swing Dance Luxembourg” was created. Our association has been formally established on 22 March 2013 (registration number F 9.486). Our statutes have been published in Le Mémorial, which is the official journal of the grand duchy of Luxembourg. The activities of our association are organised by our active members. You can always contact them during classes, workshops and other events if you have any questions. The association is run by volunteers. Would you like to help us with the organisation of events? Then let us know and become an active member yourself! The website was created in WordPress, and is primarily maintained by Davy and Stella. Please note that though we aim to keep this website up to date, inadvertently information may become outdated or may otherwise be incorrect. Please inform us of any problems you spot on the site.